Discussion in 'Fruit Trees' started by SURGICAL GRADE, Aug 6, 2018. This tree started dropping this past week. 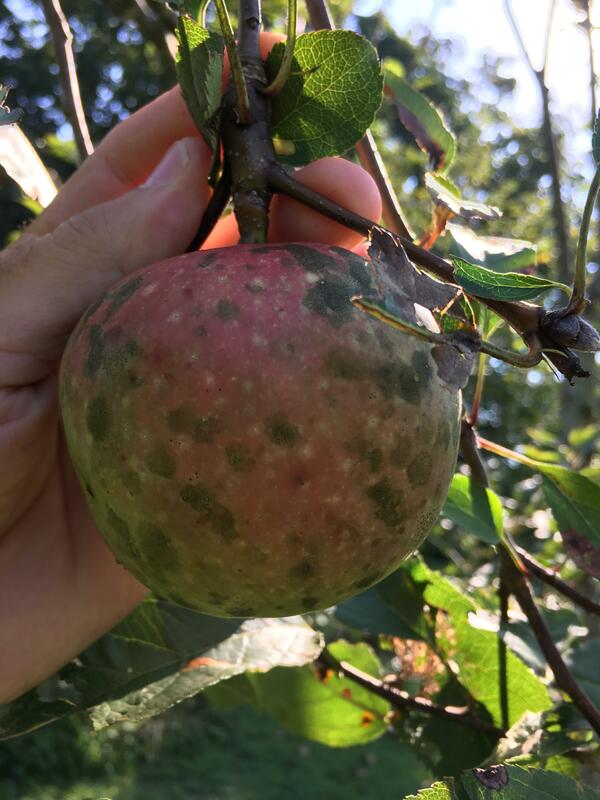 The apples have very little if any disease/ pest issues. However, presumably because it was producing and they developed a soft spot for it, they left this single apple tree at the entrance. It has to be self-fertile, as there aren’t any other apple trees around. Some of the leaves show minor Rust spots, but nothing significant. Any ideas as to what it might be? Looks like my Myers Royal Limbertwig. After looking at it, it has to be a royal limbertwig. Uncanny similarity. I’m going to have to try my hand at grafting for this old warrior. To survive what it has and to continue to produce as well, I’ve been impressed to say the least. I'm still waiting for my first big crop from my MRL tree. It probably has 15 apples this year and maybe 10 last year. The tree is plenty large enough to do more than that. It is probably 10 years in the ground and has been growing good.